Matt grew up sailing the Chesapeake Bay on-board an old wooden sloop out of the Annapolis Maryland area. Professionally trained by the U.S. Coast Guard as a Boatswain Mate (bosun’s mate) and Search & Rescue Coxswain in charge of 40 rescue boats & crew. 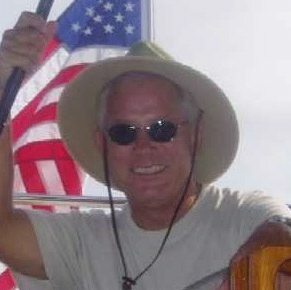 During his career in the Coast Guard, Matt served onboard the Cutter Cape Morgan in Charleston SC, the Search & Rescue Station at Shark River Inlet NJ and the Search & Rescue Station at Portsmouth VA.
Matt earned his U.S. Coast Guard Captain’s License, (Masters 100 ton) in 1980 at the age of 22. 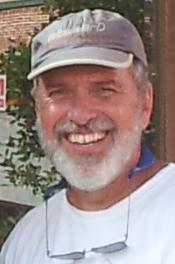 He taught advance sailing courses for Annapolis Sailing School in both the Virgin Islands and the Chesapeake Bay area. He has sailed the east coast of the U.S. from New York to Florida, the Bahama Islands, Virgin Islands, Chesapeake Bay and San Juan Islands of Washington State. In 1998 Matt purchased Lanier Sailing Academy and grew a small part time operation in Atlanta into the multiple branch, high quality, year round training operation of today. Cindy became General Manager of Lanier Sailing Academy in 2001 and supports both branches in sales, marketing and administrative roles. Cindy started sailing with her husband in 1997. They were Passport Sailing Club members for several years before buying a J/24 racing sailboat and together they sailed the Wednesday night and weekend regattas on Lake Lanier. They now enjoy sailing Lake Lanier on their Catalina 36. Phil obtained most of his boating experience on powerboats and crabbing on the waters of Maryland. He also worked as 1st Mate on a deep sea fishing boat while stationed at Midway Islands. 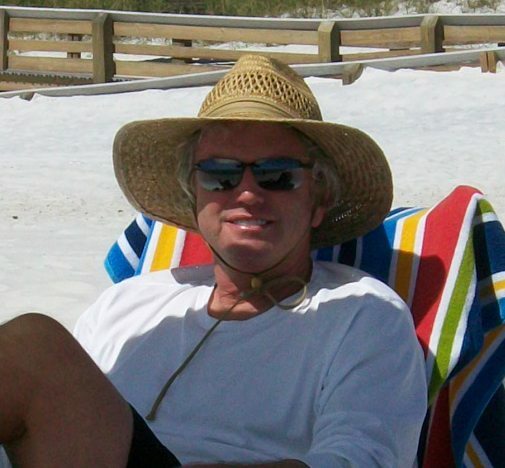 Phil is a retired Navy Veteran and has recently retired as the Technology Director for Coweta County Schools. Phil has literally travelled around the world having been stationed at or visited: Midway Islands, Guam, Philippines, Japan, Korea, Pago Pago, Thailand, New Zealand, Australia, Canada, Iceland, Greenland, Portugal, Spain, Italy, Germany, Morocco, Kenya, Greece, Djibouti, and Oman. 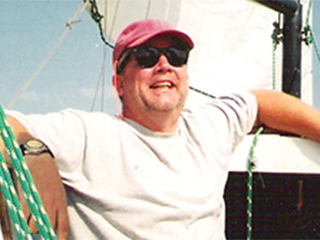 Phil joined American Sailing Association and Lanier Sailing Academy in 2002. He has sailed U.S. Virgin Islands, British Virgin Islands, and Spanish Virgin Islands, St. Vincent and the Grenadines, Chesapeake Bay, Florida Keys, Gulf of Mexico and the San Juan Islands in Washington. He is a licensed Coast Guard Captain and a Qualified Instructor for ASA 101, 103, 104, 105, 106 and 114. My boating career started in 1957 when boats were made of wood. Water skiing and boating on the Chesapeake Bay were my childhood summers until 1965 when I got my first “shot” of sailing. Wow was I hooked! Married my wife Jerrie in 1973 and introduced her to salt water since she grew up in N.Dakota. She has sailed and delivered boats with me many thousands of miles. Sailing is to be shared and my love is to share what I have learned through the years with those who have the dream. The open ocean is my choice of sailing waters and finally made my first transatlantic in 2006. How did you get started in sailing? The US Navy actually taught me. After a 4-year tour at sea, I was assigned to the Navy’s ROTC unit at the University of South Carolina. Among other responsibilities, I was assigned as the unit’s ‘Sailing Officer,’ in charge of teaching students in the program how to sail. The Navy apparently didn’t care that I had never sailed before and put me through a crash course that culminated in an offshore passage from Key West to New Orleans (and just happened to involve a heavy January gale). I continued to sail from then on, joining LSA in 2006 and becoming an LSA instructor in 2015. Where have you sailed and on what type boats? I have chartered boats throughout the Windward and Leeward Islands of the Caribbean, including the British Virgin Islands, St. Martin, Grenada, St. Lucia and Martinique. Generally I charter monohulled boats ranging from 32 – 45 feet, depending on crew size. Additionally, I have chartered in Portugal, San Diego and Florida’s west coast and panhandle and have participated in an Atlantic offshore race from Daytona to Charleston. Marla grew up along the eastern shore of Iowa in the port city of Dubuque located on the Mississippi river where she enjoyed houseboats and water skiing with her family. 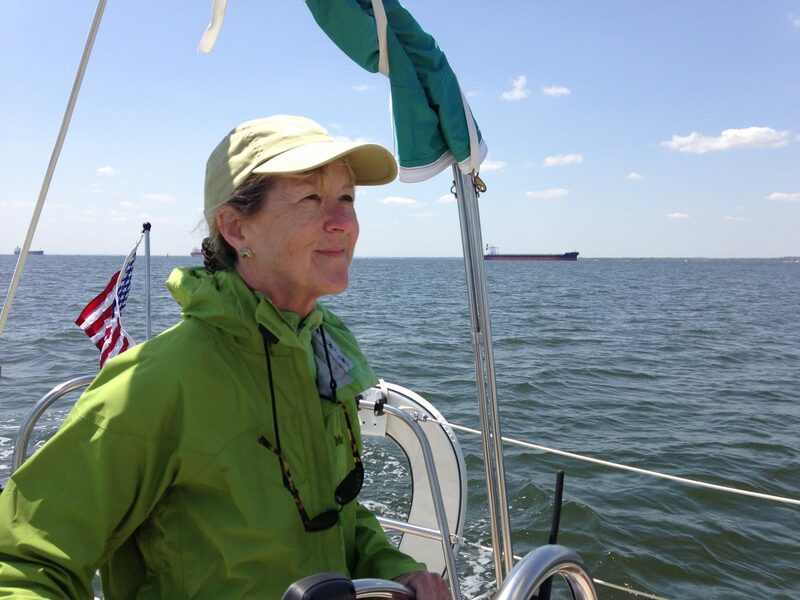 Years later she learned to sail at the Detroit Yacht Club and has been smitten with the sport ever since. She received her ASA certifications in the BVI then went on to get her Captain’s license and in 2006 started teaching for LSA. She’s also the Atlanta area instructor for those who wish to obtain their Captain’s license. 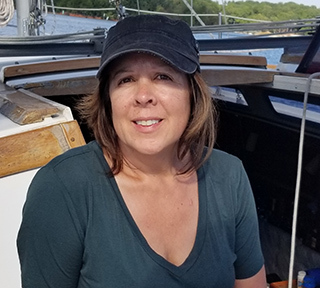 Her sailing adventures have taken her through the Caribbean, Bahamas, and the eastern seaboard from Newport, RI to the Florida keys. She currently owns a 30′ Cape Dory “A Muse” located in Annapolis, MD. One of her passions is teaching sailing which provides the opportunity for her to share her enthusiasm and knowledge for the sport whilst helping others gain sailing skills. 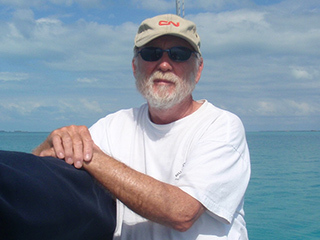 John grew up in Central Florida boating and sailing along the coast and on inland rivers and lakes. 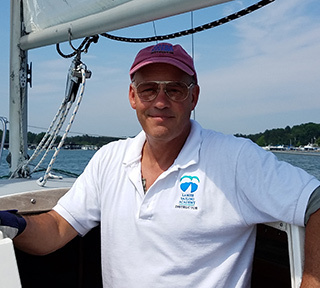 He began teaching sailing at Lanier Sailing Academy in 1999 and taught Basic and Intermediate Coastal Cruising in the British Virgin Islands for several years. From 2006 through 2009 he cruised full-time on his own 43′ sloop, wintering in the Bahamas and the Florida Keys and summering as far north as Maine – experiencing the open ocean and remote island locations as well as busy ports including Miami, Charleston, the Chesapeake Bay area, New York, Boston and Newport. Enjoying the water with friends and family and helping others master the skills and learn the pleasures of sailing are amongst his favorite activities. Dawn grew up sailing on the lakes in Nebraska at an age of 7 where her parents raced 15 foot Snipes. Her father often joked that his secret weapon was his “light-weight crew”; Dawn and her sister. When the winds were forecasted to be 1-8 mph, Dawn learned the fine art of sailing in drifters, winning races with her Dad. She credits her racing skills to her Mom and Dad who were often the Snipe fleet’s 1st place season champions as well as winners of several inter-state regattas. After leaving Nebraska and several years of absence from sailing, she moved to the Philippines with CARE, and joined the Manila Yacht Club’s off-shore races crewing on a range of yachts. Those included moonlight off-shore races from Manila to Subic Bay. While based in Tanzania years later, she became a member of the Dar es Salaam Yacht Club enjoying racing on various boats. 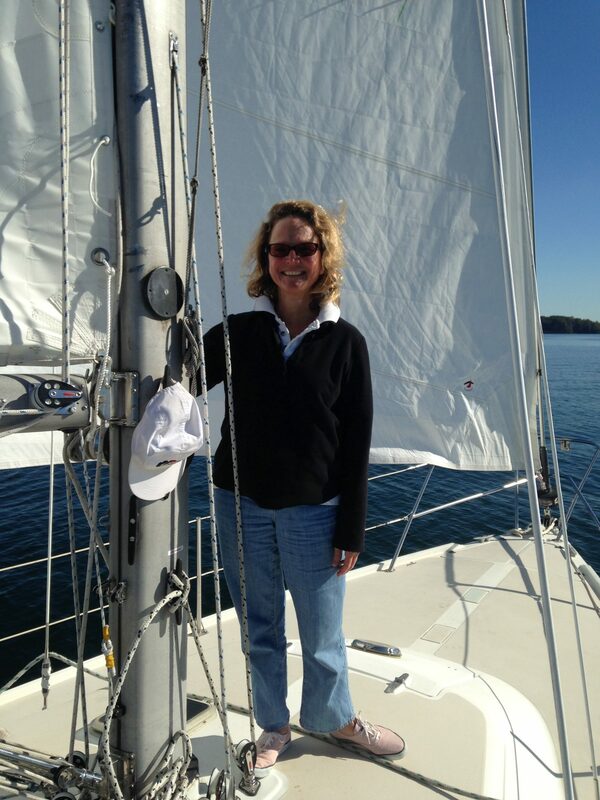 After 20 years overseas in Africa, Asia and the Balkans, she moved to Atlanta, re-discovering lake sailing at Lanier Sailing Academy in 2012. Since 2014 she has been an instructor sharing her passion for sailing by teaching others the joy of mastering those skills. Captains John and Kathy Struchen have been sailing for a combined total of over 50 years. Since 2001, they have spent a lot of their time sailing in the Florida Panhandle as owners and operators of Lanier Sailing Academy on Pensacola Bay. 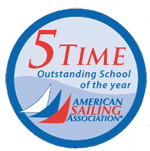 As American Sailing Instructors they have won the Outstanding Instructor of the Year Award a total of five times. Together they have sailed in Mexico, Belize, Turks & Caicos, Miami, the Florida Keys, Lake Michigan, and the British Virgin Islands, as well as the Gulf Coast from New Orleans to Apalachicola. In addition to teaching, the Struchens have also done their share of interesting captained charters. Shortly after Hurricane Katrina, John and Kathy were hired by National Public Radio to sail a reporter team from Pensacola to New Orleans. Each day, stories were recorded, edited and broadcast from the boat as NPR talked about the effect of Katrina on people living on the coast. The couple also got to sail with Adam Cort, the Senior Editor of Sail magazine. 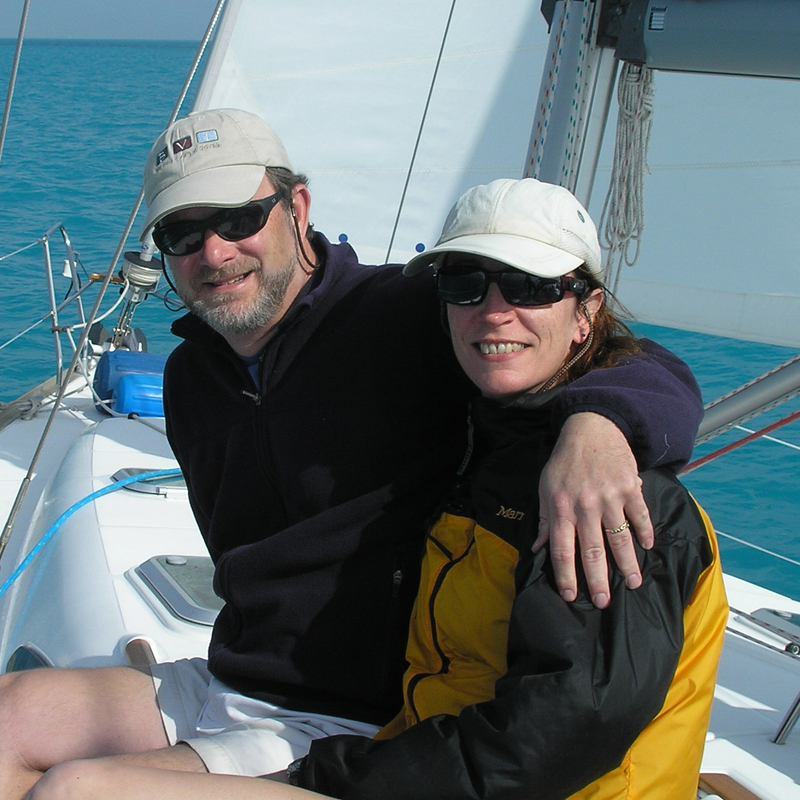 At the invitation of John and Kathy, Adam came to the Pensacola area and experienced first-hand the natural beauty and great sailing waters of the Gulf Coast (see the May 2011 Sail magazine article). They also had the pleasure of having the Cruising World Editor, John Burnham visit for a sail in March 2007 (see February 2008 article in Cruising World). Not only do they love to sail. The couple also enjoys scuba diving, gourmet cooking, and the blues. Their idea of a perfect day ends anchored along an unspoiled beach, tunes playing on the stereo, a glass of wine in the cockpit, and a content sigh as the sun sets on another beautiful day. In the late 1970s I raced on a friend’s Lightning at Lake Lanier Sailing Club, and a few years later, I made a couple of trips on another friend’s boat, a Morgan OI 38, off the west coast of Florida. After all that crewing, I wanted to learn more about sailing and how to be the skipper, so I took the BKB class at LSA in 1992 and joined the Passport Club. In 1996, I took BBC and BCC on a 50 ft. Beneteau in the BVIs with Bob Evans, former LSA owner. The summer after that trip, I attended the ASA instructor clinic and became an instructor at LSA. Where have you sailed and on what types of boats? I spent ten years in the Passport Club, sailing on every boat in the fleet. We took a couple of family BVI vacations staying at the Bitter End Yacht Club on North Sound, Virgin Gorda, enjoying day sails on their Hobies, Sunfish, J24, Rhodes 19, and Freedom 30. I took the ACC course in 2001 traveling the Windward Islands from Martinique to Grenada. I have chartered various Beneteaus from 38 to 44 feet in the BVIs and in St. Vincent and the Grenadines, and in 2003 we bought a 1999 Hunter 340 which we keep at Aqualand Marina. I have crewed for friends moving their boats long distances on a Catalina 350, a Bristol 41.1, and a Cheoy Lee 42 schooner offshore. I have also recently chartered catamarans in the 42-45 ft. range in the Abacos and the BVIs. Married, with two grown sons. Older son worked briefly as a dock rat at LSA, then moved to Portland, Oregon where he joined the Portland State University sailing team and met his future wife. Younger son is still in the Atlanta area, married and has rebuilt a couple of older Hobie cats.